The embroidery in this blouse was done five years ago. When I had seen someone wearing a tunic in this colour, it inspired me. And I always wanted to do some big flowers in long&short stitch. 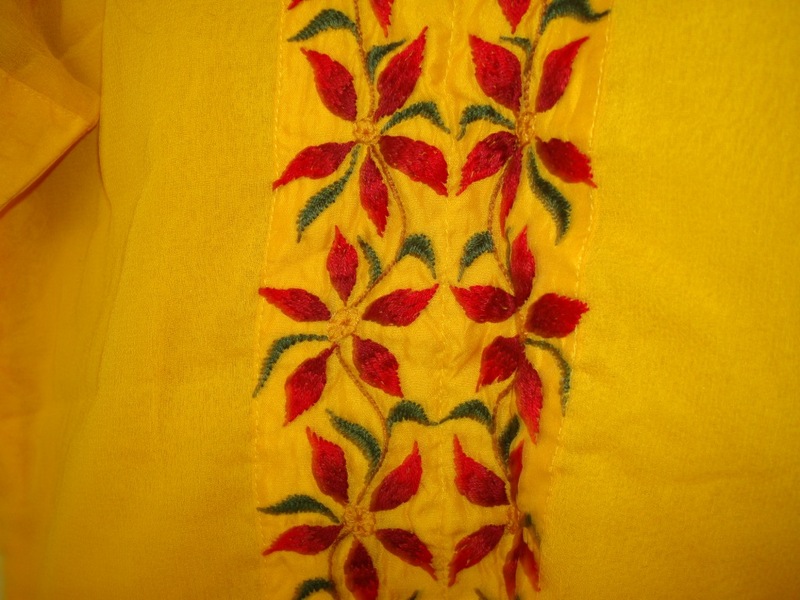 With this vivid combination the embroidery was done in blouse front and the sleeves. The fabric is synthetic chiffon. 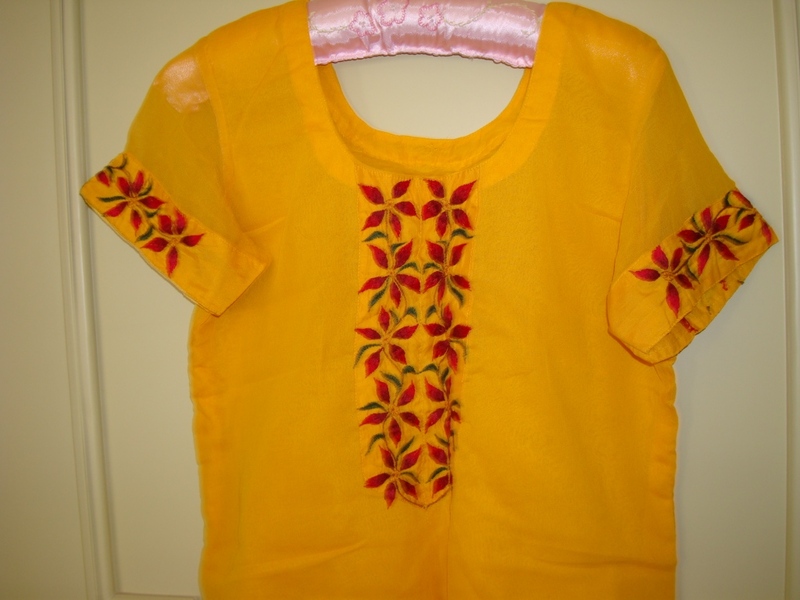 The embroidery is done in silk cotton fabric of same colour. the stitches are done in long and short, stem stitch and buttonhole with three strands of cotton skein. The pattern is a floral pattern repeat. Realities-the combination is tooo bright! so I can’t wear it in sunlight. My yearning for doing a big florals in long&short stitch [ofcourse,which I can wear] is still there.